. The rights were previously held by BeIN Sport, with some games simulcast on SBS. “These exciting collaborations with YouTube and Twitter mark a major opportunity to leverage the world’s biggest international club competitions and amplify our incredible live programming of these tournaments,” Optus’ head of TV and content Corin Dimopoulos says. Dimopoulos added that while similar types of partnerships have been rolled out overseas, it is the first time that regular competitive football matches will be made available this way in Australia. “Optus Sport is illustrating continued innovation by opening our Optus Sport broadcasts through our YouTube and Twitter channels,” he says. “We will continue to showcase our exceptional live productions and at-ground presence which we have successfully delivered since securing the rights of these two competitions this season." Twitter Australia head of sports partnerships Olly Wilton said football is one of the biggest drivers of conversation on Twitter. ￼“Passionate football fans will need to look no further than Optus Sport and Twitter to keep up to date with what is happening during the knockout phase," Wilton says. YouTube Australia sports partnerships lead Andrew Paterson says over the past six months, Optus Sport has done a great job at establishing its YouTube channel. "We're thrilled to be working with the team at Optus to continue evolving their strategy and to bring selected live UEFA Champions League games to Aussie audiences on YouTube for the first time," Paterson says. As one of the biggest international football tournaments in the world, the UEFA Champions League gives Optus another chance at redemption following its FIFA World Cup blunder last year. Optus has inked a deal with Twitter and YouTube that will allow Australians to watch the UEFA Champions League online. The arrangement will see Optus transmit a total of 10 matches between February and April 2019 on the Optus Sport channels through the social media platforms. 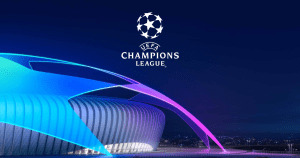 Optus secured a three-year contract to the UEFA Champions League in August 2018. The rights were previously held by BeIN Sport, with some games simulcast on SBS.